CHICAGO (Nov. 29, 2017) – (RealEstateRama) — Mayor Rahm Emanuel today broke ground on a mixed-use development that will bring a new Target and affordable and market rate apartments to Rogers Park. The result of a partnership between the Chicago Housing Authority (CHA) and Three Corners Development/Iceberg Development, the Concord at Sheridan will be a transit-oriented development located steps from the CTA’s Loyola Red Line Station at Sheridan Road and Devon Avenue. The seven-story development will include 111 apartments, 30,000 square feet of retail space and 125 below-grade parking spaces. 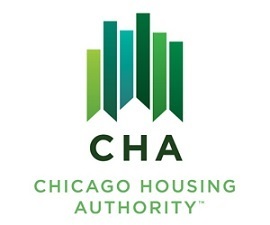 Sixty-five of the apartments will be supported by CHA’s Property Rental Assistance program to guarantee long-term affordability; the remaining will be market-rate rentals. The project is expected to be complete in early 2019. The project replaces a parking lot and the outdated senior center community room at the adjacent CHA Caroline Hedger Senior Apartments. A new CHA senior center and community room will be built and includes a new, private rooftop deck, providing outdoor green space for residents. Residents at the Caroline Hedger Apartments will have 25 percent more parking spaces available in the newly-constructed garage. The Concord at Sheridan will create 450 construction and related jobs as well as 80 permanent jobs. The project estimates that more than $650,000 will be generated annually in new property and sales tax revenue. Target will serve as the anchor tenant in the retail space with a 23,000-square-foot flexible format store. Target is committed to hiring locally and seeks input from the community and local business on items it stocks. The Mayor was joined at today’s event by CHA CEO Eugene Jones, Jr. the Illinois Housing Development Authority, Alderman Joe Moore (49th), Rogers Park Business Alliance Executive Director Sandi Price, and community members. Three Corners Development President Christopher Woods said: “We are excited to bring this new development to the vibrant Rogers Park community. The mixed-use project will provide a complementary amenity for the residents of one of Chicago’s most unique and diverse neighborhoods,” Three Corners Development President Christopher Woods said. Initial plans for the Concord at Sheridan were modified due to input from the community. Following those changes many community members and local business signed letters of support for the development before it was approved by the Chicago City Council earlier this year. The development team also includes Lightengale Group and Iceberg Development.